Abaco, Bahamas out island of Green Turtle Cay is a small, three mile long island with one paved road beginning at The Green Turtle Club and ending in the town of New Plymouth. 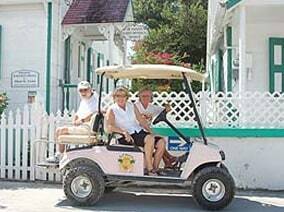 Golf carts are the primary mode of transportation for many of the island locals and they are a great way for our guests to explore our quaint, relaxed laid back island. Most golf carts carry up to four passengers and are equipped for night time travel. 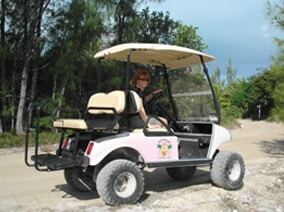 Any licensed driver over the age of 18 can drive the cart on Green Turtle Cay. 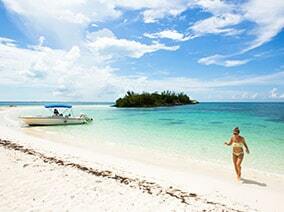 Just remember… we drive on the left side of the road in the Bahamas! D&P Cart RentalsLocated on Property at Green Turtle Club! Try out your sea legs while you are on Green Turtle Cay by renting a small boat to go exploring, fishing, snorkeling, diving or wakeboarding. 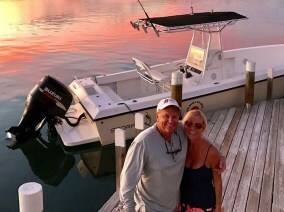 Boat rental companies on Green Turtle Cay offer boats ranging in size from a 14 foot runabout to 23 foot center console boats. Renting your own boat provides you the opportunity to explore the surrounding cays and settlements such as New Plymouth. Set off on your own adventure and explore our neighboring deserted cays and secret coves which were used by 17th century pirates, Civil War blockade runners and the smugglers of Prohibition. Discover beautiful unpopulated white sand beaches and tropical gin-clear waters abundant with colorful reefs and fish. Purchase a picnic lunch from The Green Turtle Club to take with you and enjoy a picnic lunch on a stretch of beach you can call your own. 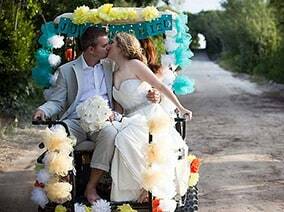 Most boat rentals offer complimentary pick up service from the Green Turtle Cay public dock, or delivery to The Green Turtle Club dock. It is highly recommended that arrangements be made in advance as there are only a limited number of boats available.